So young. So innocent. That’s what I thought anyway until I watched Robot Chicken. There are a handful of scenes in the Star Wars movies that will just never be the same again. Luke at Uncle Owen’s breakfast table is one of them. Who would have thunk that the Tosche station was not, erhm, really a store? 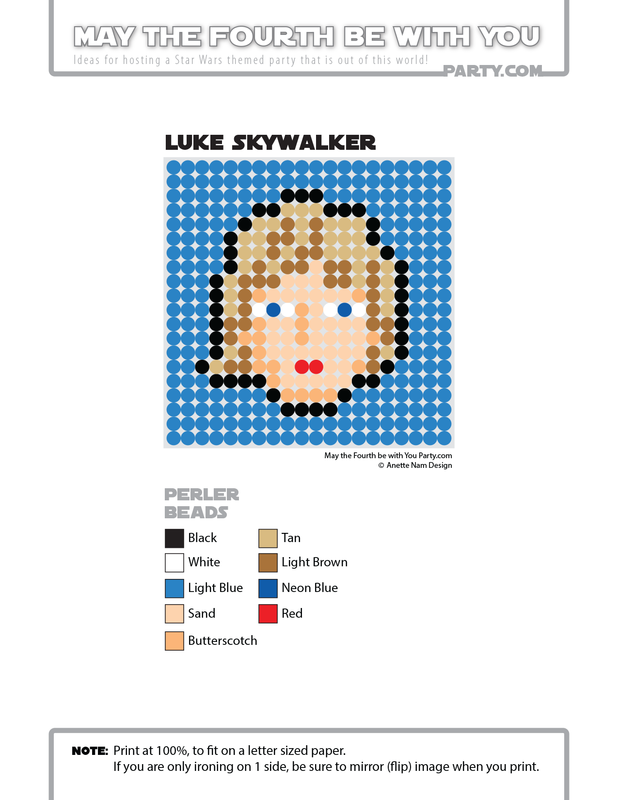 If you have not seen the Robot Chicken Star Wars spoofs, you should know that it takes about as long to watch one episode as it does for small-to-medium-sized kid to make one of these perler coasters. So put your kids to work, pour yourself a tall glass of Bantha milk, and go and watch an episode (or two). Just do it with the volume down low, because the show is not meant for the little ones! 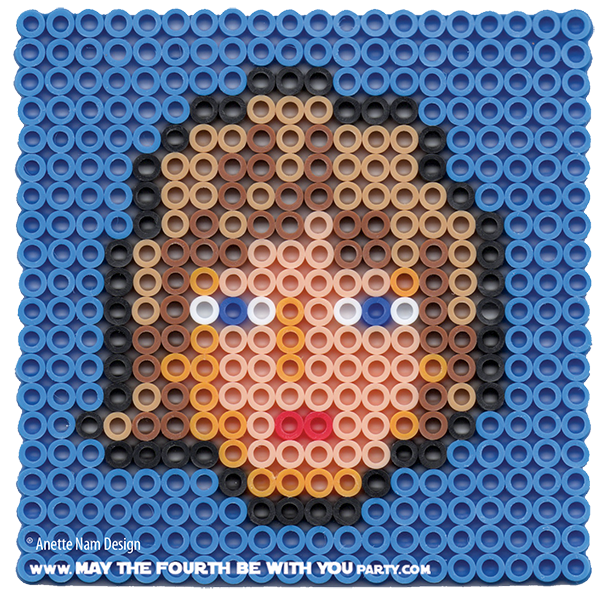 Here, to keep your kids busy while you watch TV: #13 in the Perler bead/cross-stitch/Lego/pixel/mosaic series.